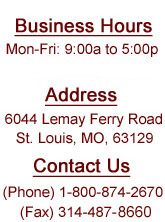 By Phone: Call 1-314-487-2670 or Toll-Free 1-800-874-2670 - For fast service, please have order form completed when you call. By Mail: Use the convenient order form provided here. By Fax: Dial 1-314-487-8660 to fax your order form or purchase order. Be sure to include: contact name, address, phone number, and fax number. C.O.D. - Cash on delivery. Remittance Enclosed - Check or money order in full. Master Card or Visa - See front of order form. Open Account - Accounts with approved credit. To Open a New Account - Call or write for an application. Allow 2-3 weeks for application processing; terms stated on application. If there is a price increase on your order, you will be notified before your order is processed. We reserve the right to correct all clerical, photographic and typographical errors. There is a $25.00 minimum. All orders are F.O.B. factory or Session Fixture warehouse. Customer will pay all shipping and handling costs. We stock most items in our catalog. If the item is not in stock, we can order direct from the factory. All special orders require a 50% deposit with balance due on delivery. Contact your salesperson for additional information. All merchandise shortages or damage must be reported within 48 hours of receipt. 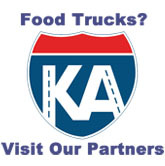 For truckline deliveries: freight damages are the responsibility of the carrier. Make note of any damage present on the freight bill before you sign it. File any claims directly with the carrier. Session Fixture Co. must be notified within 7 days of receipt of goods. No returns will be accepted without prior authorization. Returned goods may be subject to restocking fee.